Corporate Water Stewardship: A Slow Market? Water stewardship has progressively gained corporate and media attention over the last 10 years. Business is a water user, but it may also be a polluter. To provide the world with food, for example, businesses rely on many different supply chains, all of which need water. The growing of crops takes large amounts of water for irrigation, around 40 percent of the water taken out of rivers and groundwater globally. What we eat, what we wear, what we buy, and what we build and use all need water in production and manufacturing processes. Companies know this. Yet, perhaps not as well as they should. Recent work suggests a growing number of companies are engaging in improved water management as part of water stewardship. But the tangible results remain unclear. Who benefits from this corporate engagement, and how is it helping water management beyond the factory fence? Distractions abound, with more marketing than investment in water management. Company directors need to move the language of corporate communications beyond corporate circles to become good stewards. If companies are unable to convince their own staff, what chance do they have to adjust practices or, better still, influence their often extensive supply chains to improve water use? Core business models are not changing. To achieve the Sustainable Development Goals (SDGs) set forth by the United Nations, we will need greener economies. This will require new businesses with new business models that go beyond short-termism and quick returns. 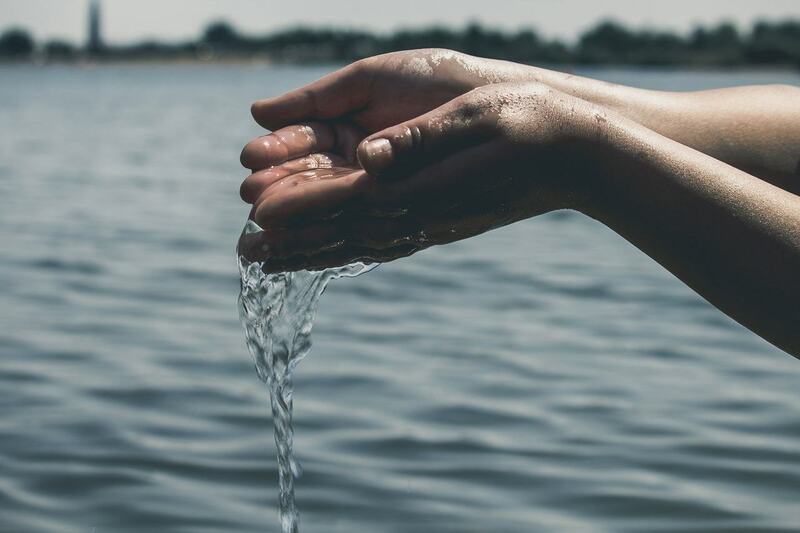 For corporate water stewardship to mature, corporate practice must go further toward the standards and guides which have been laid out by international bodies – business federations as well as non-governmental organizations. Public regulators must be engaged in stewardship initiatives. Improving regulatory frameworks, data and monitoring is a sure way to increase impact at scale. Improved regulation must improve river health and groundwater sustainability, and therefore the use of water by business sectors. In the agriculture sector, for instance, growing the right crops in the right places can maximize crop production, improve soil condition, store carbon, and reduce overall water use. Identifying where risks will materialize, and with what implications for operations and procurement, remains a major challenge for multinational companies, IUCN concluded in its report. Despite water management being an area of growing concern, few company leaders are clear on what actions to take for the medium- and long-term. The CDP report released in November at the U.N. climate negotiations in Marrakech highlights what is at stake – with company-valued water risks reported at $14 billion in 2016, up from $2.6 billion a year earlier. But it's also worth noting some interesting examples of new approaches to water dialogue involving businesses. The California Water Action Collective (CWAC) started in 2014 as a response to ongoing water stress. With a population close to 40 million and recurring drought, managing and safeguarding water for California communities, businesses, agriculture and nature will not be solved by government alone. California uses almost 80 percent of its water resources to grow food. The CWAC aims to develop projects that will support the public policy goals set out in the California State Action Plan. It represents a platform of food and beverage companies, their suppliers, conservation groups, and others trying to solve their water future, and at the same time contribute to public policy needs. Companies need encouragement to look at new ways of doing business. Corporate water stewardship will only gain traction if companies can see their gain from it -- whether it be brand value, reputation or something else. Innovation in products and processes is already taking place by some leading lights. To help achieve the SDGs, new investments and new capacities are needed, but so is new business -- business that can translate its success into benefits beyond the company itself; business that can work to improve water quality and physical downstream flows for and with other water users; business that works with regulators to improve overall catchment, and therefore economic health. Attention to critical economic areas is paramount – protecting and managing our freshwater systems where we most need them and put them under intense pressure should be where corporate water stewardship platforms are established first. Ironically, it may be greenhouse gases that come to the rescue. We use water where we have the highest economic needs – for drinking, growing food, or producing energy. What became at the COP22 climate negotiations in Marrakech is that agriculture needs to rapidly move to a lower greenhouse gas emitting, lower water use, and higher food production future. It is this triple win that may drive the water stewardship ‘market’ in the future, and the incentive will be reducing energy use, maintaining healthy soils, and improving carbon storage in productive agricultural landscapes. The fear is that water stewardship gets stuck as a possible brand and revenue generating opportunity and the intrinsic link to the environment and other water users becomes lost. This will make it harder to achieve our catchment, state, and national objectives, and the collective Sustainable Development Goals -- and it may potentially create an environmental future that is difficult and more expensive to correct post-2030. James Dalton is the Coordinator of Global Initiatives for the IUCN Global Water Programme based in Switzerland. Peter Newborne is Research Associate to the ODI Water Policy Programme based in London.